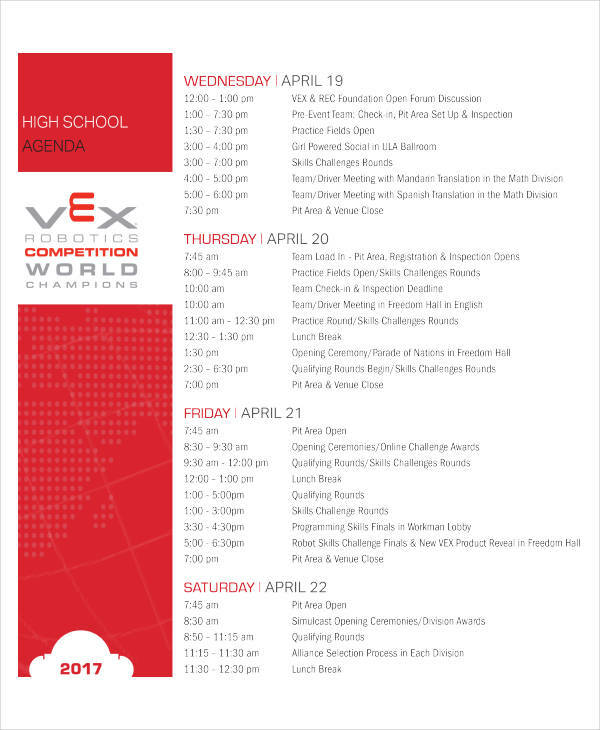 An agenda informs participants of the topics or events that are set to be covered over a span of time. When writing an agenda, much thought and consideration must be put into it. It’s important for an agenda to be specific and to contain all the necessary details which may still be subject to probable changes. 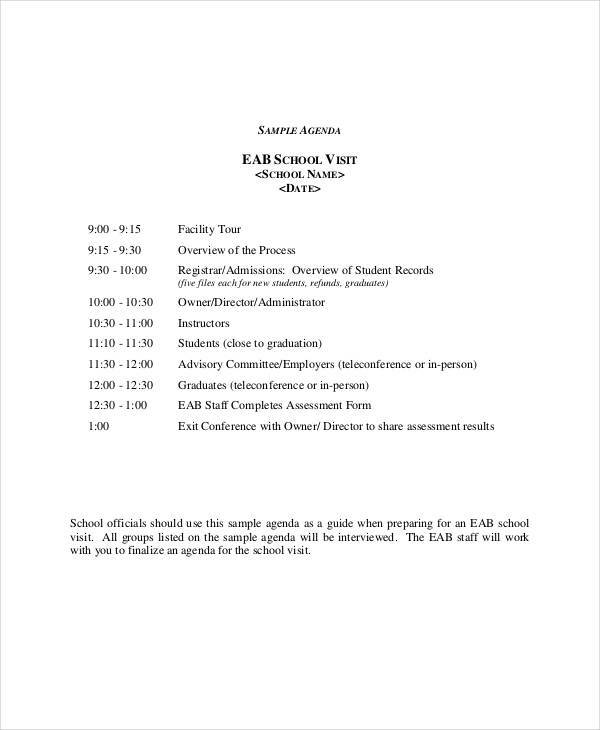 An agenda may also be applicable for school purposes, such as a meeting agenda. An effective meeting agenda is created and distributed some time before the actual meeting. This is to ensure that participants remain aware and informed of the discussions that would take place. 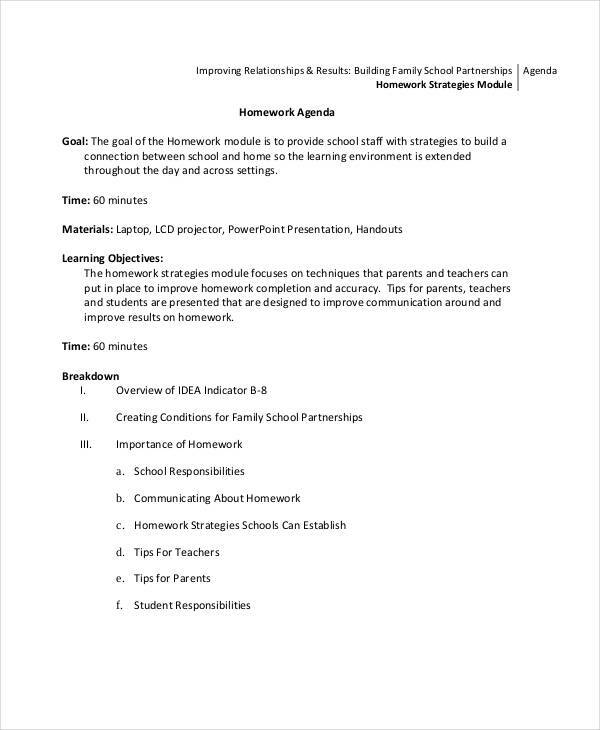 What Is a School Agenda? 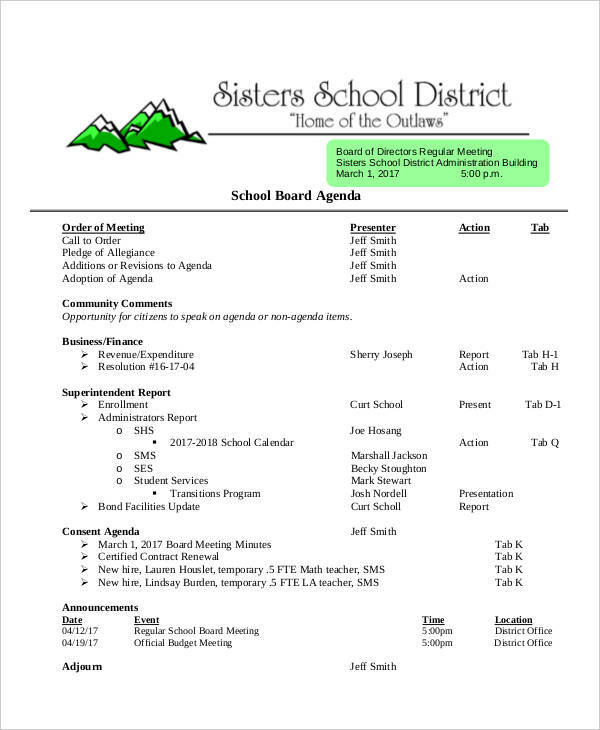 A school agenda refers to an agenda which topic concerns the operations of an educational institution. 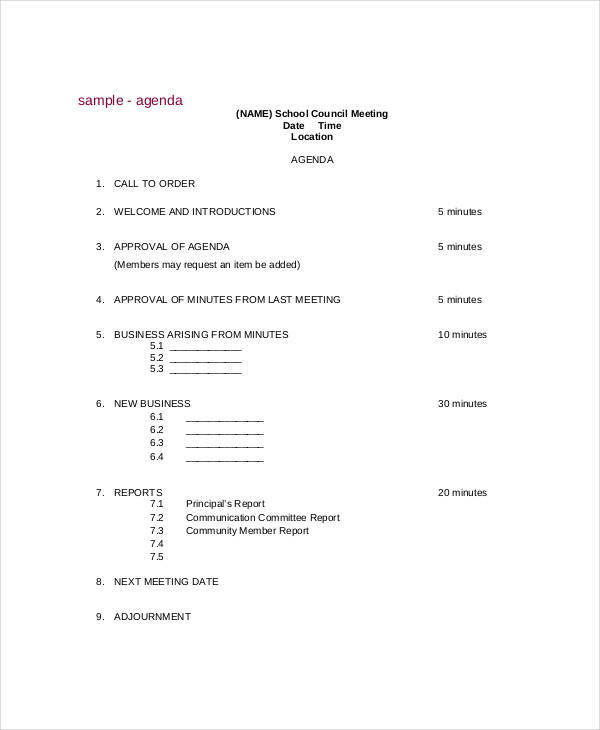 These agendas promote district transparency to allow members of a school to become more involved in internal activities. A common example would be a meeting agenda. 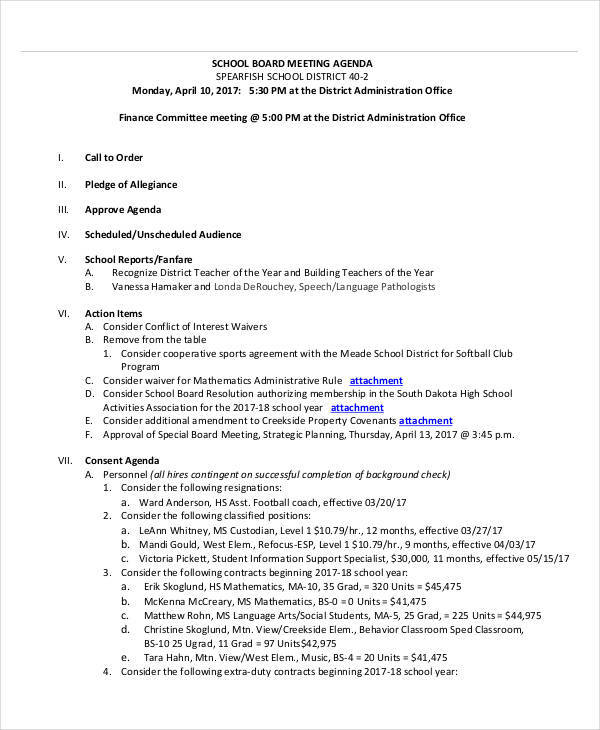 A school council writing meeting agenda is just one of the many meeting agenda examples conducted by student officials and members of the faculty to identify solutions to issues that need to be addressed. 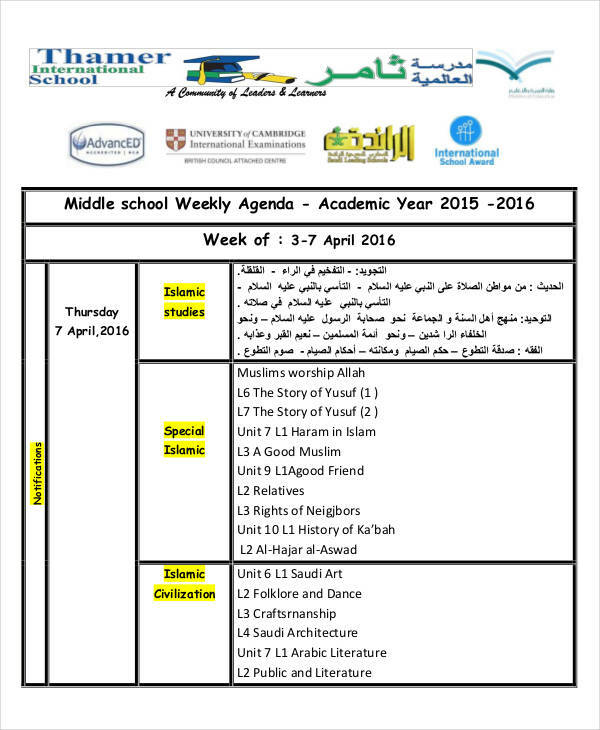 A school agenda allows participants to focus on important topics that need to be discussed, in a clear and systematic manner. 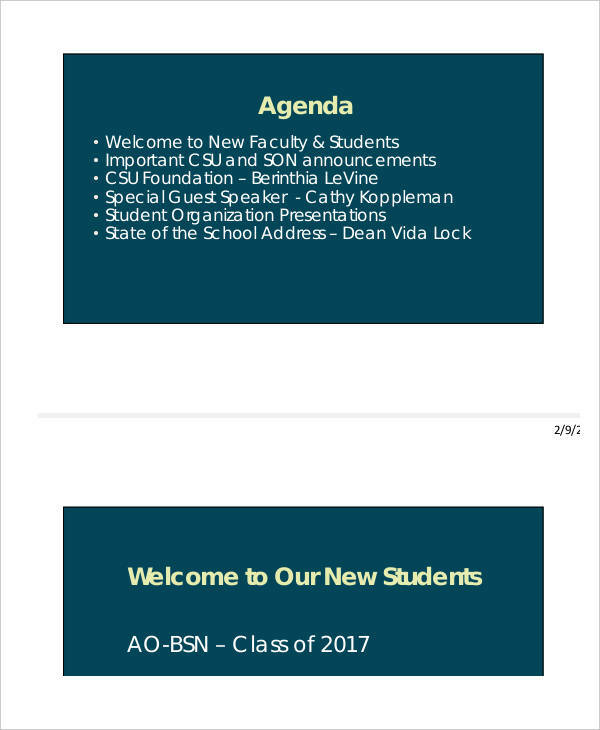 How to Organize a School Agenda? A good agenda sets a schedule for participants to follow. It also informs them of the topics that need to be covered. You may notice this from looking at various agenda examples. With that in mind, it’s important that the agenda serves its purpose. To organize an agenda, you must first know what the essence of the agenda is. This will serve as the basis for your main topic. You must also be able to set a date and time that is suitable for all. A copy of the agenda must also be distributed to the participants before the said event. We have to keep in mind the participants involved in a school agenda. They could be students, faculty members, parents, or even school officials. It’s important to keep everyone involved in the discussion. This is especially concerning for students, who can often feel intimidated by others in expressing their personal opinions. It’s also important to stay time-sensitive. Participants involved often have other obligations toward school operations. This is why it’s essential to stay on schedule and inform participants beforehand as meetings and event agenda usually last for a good period of time. Prepare a draft to make room for possible changes. Set a time and place. The location of the meeting needs to be thought through. It must be a practical venue that is accessible to all. List down key points. Points to be discussed must be noted. It’s also good to jot down important notes during the meeting. Inform participants in advance. With everyone’s busy schedules, meetings must be set beforehand. A printable agenda may be distributed to inform participants properly.